The fourth of July week is not an ideal time to schedule a meeting, but we did! 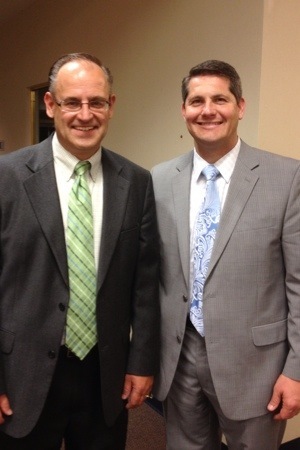 We spent the week with Pastor Volker Stoeckmann, pastor of Valleyview Baptist Church in Northampton PA. The week was a combination of a revival meeting for the church as well as their hosting of the Teen Revival Conference. We started the week off by preaching all day on Sunday, July 1st, and then transitioned to the Teen Revival Conference, Monday through Wednesday (July 2-4), and then finished the week with revival services on Thursday and Friday, again for the church. The services all week were very well attended. Valleyview Baptist was responsive to truth and during the conference, the teens were also receptive. Teenagers filled the auditorium from many churches, including NY City and surrounding PA churches. The conference really was incredible! I have never known a teen conference or any conference for that matter to give as great attention to the exposing of sin and defeat and then to the practical progression to victory in the lives of God’s people, as I’ve experienced with the Teen Revival Conferences. The Lord greatly blessed! As an outsider, I would never have known that it was a holiday week! People were so responsive to truth! Many gave testimony how they had been awakened that week and liberated from various sins.